I first made a complete backup of my registry. I went to the following directory: C:UsersYour Name HereAppDataLocalMicrosoftVisualStudio10.0 and created a folder called bk and moved the .tbd files to that folder (they are hidden so you will have to show all files). 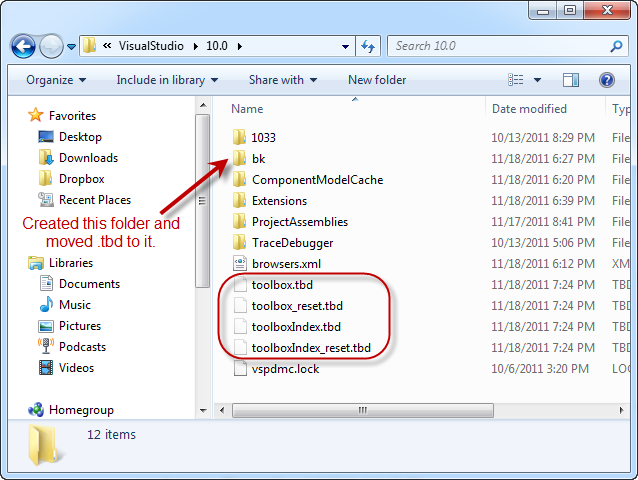 I then removed the .tbd files in the root directory. 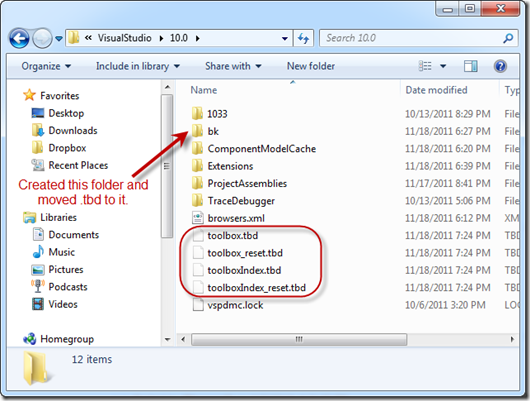 I then launched Visual Studio 2010 SP1 again and it recreated those files and the problem was gone. Anyways, I hope this helps someone with a similar problem. I created this blog partially for myself but it is always nice to help my fellow developer.